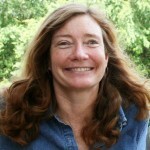 Environmental attorney Laurie Fowler is the Executive Director for Public Service and External Affairs at the University of Georgia’s Odum School of Ecology and the director for policy of the River Basin Center. She serves on the clinical faculty at the UGA School of Law. The focus of her teaching, research and service is on watershed management, protection of biodiversity, and associated land conservation and land use policies as well as promoting sustainability in teaching, research, service and campus operations. She received her LL.M. from the University of Washington, her J.D. from the University of Georgia and her B.A. from the University of the South.